Julita Aquino caught a Big fish! – SEED Center Philippines Inc.
Julita is 49 years old, a housewife, and with 3 children. 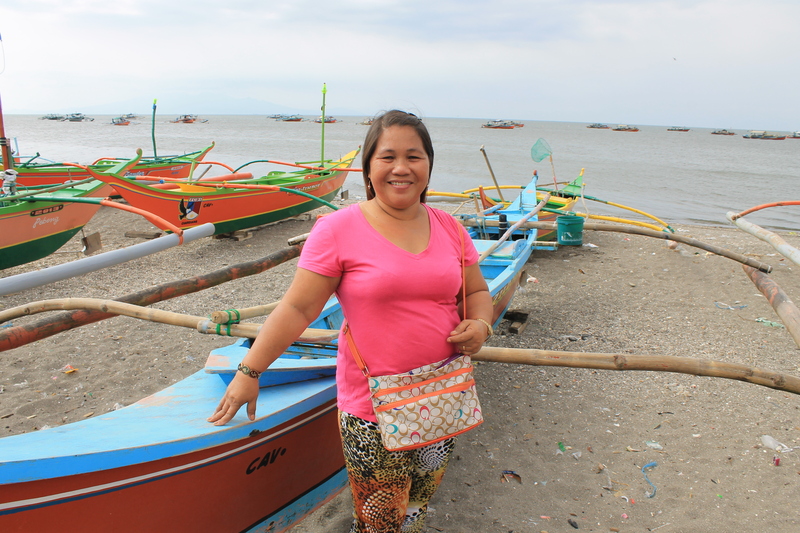 With her husband, Julita operates a fishing business. Before, her husband works as a fisherman in their community. However, working as a fisherman only earns them PhP 400 per day and is hardly enough to cover their most basic daily expenses. To improve their income, Julita and her husband decided to buy their own fishing boat. They’ve bought a second hand boat from a friend in which they repaid on monthly basis and used it in their fishing business. Their income increased by and additional PhP 900- 1,200 daily and they were able to repay the boat after a year. Seeing the potentials of the business, Julita and her husband wanted to expand the business and buy another boat, however limitations in the capital get in their way in as much as education expenses for their children are also increasing. How they reach the top.. In 2005, she came to know SEED from a friend whom is also a member and was invited to attend an orientation. 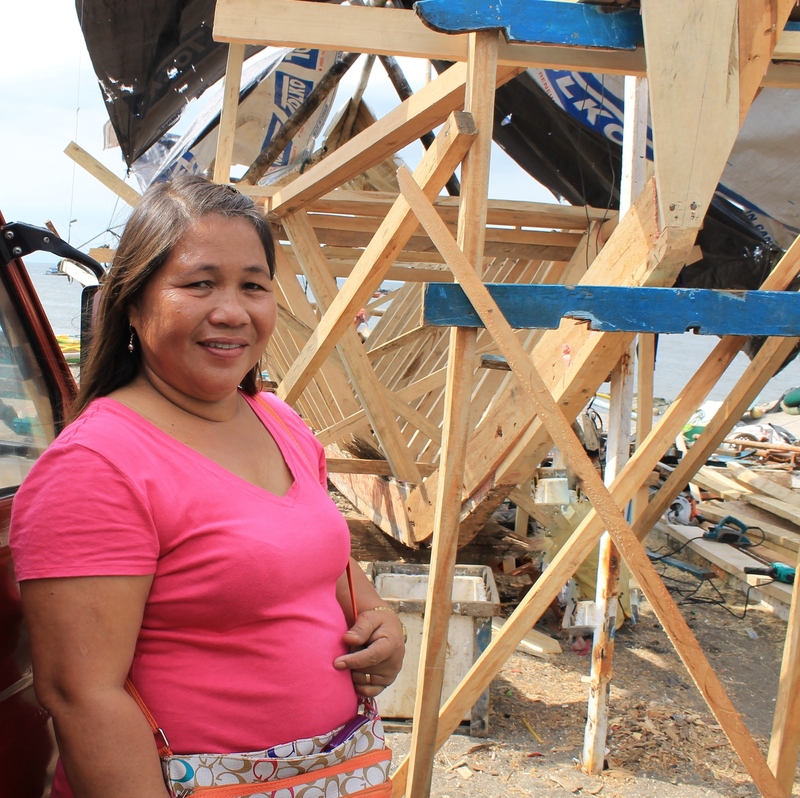 Her first loan amounting to PhP 5,000 was added to their savings to finally buy another boat for the fishing business. From the series of loans in SEED, their business and their life dramatically improved. From 1 boat, they now have 3 boats. They were able to buy a second hand jeep which they use to transport their seafood catches to the market. They were also able to buy a freezer to stock their seafood catches in order to maintain their freshness while not yet transported to be sold. They are also able to employ 6 fishermen in the community, with which the division of income is 70% in favor of the fishermen and 30% for them. Julita was also able to set up a sari-sari store (small grocery store) in front of their house. More importantly, Julita was able to see her 2 children graduating in college. Julita are planning to buy 2 fishing new nets and materials for building their 4th fishing boat. Julita dreams of having her last child finish college and also aspires to continue helping her neighbors by employing them in their family’s business.